New Year’s Eve in St Ives is all about fancy dress, street parties, and fireworks. 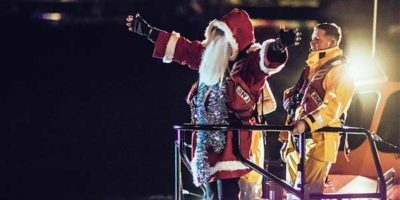 New Year in St Ives has become one of the town’s most famous and exciting celebrations with colourful street parties, fireworks and an eclectic mix of fancy dress; which is an absolute must by the way! The town comes alive as residents take to the streets and the evening celebrations ensue. With a safe, friendly atmosphere everyone can enjoy this night of fun, and a stay in our luxury accommodation will ensure you’re well rested, whatever you choose. 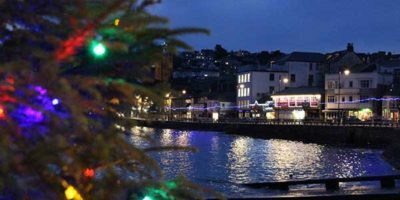 You might want to take the whole family to watch the fireworks and then take a peek at the parade of costumes floating along the harbour front, or even have a romantic dinner in one of St Ives’s many excellent restaurants. You could even just mingle with the locals and join in on the wonderful street parties. There’s something for all tastes and ages in St Ives on New Year’s Eve. Our luxury self-catering apartments are in an ideal location for your New Year’s Eve celebrations. 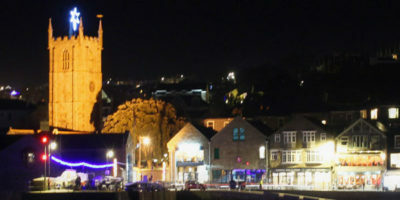 Sail Lofts are only a five-minute walk from the harbour and St Ives town centre so guests don’t need to worry about taxis or buses (both of which is hard to come by on New Year’s Eve). With Porthmeor at your doorstep, you can blow the cobwebs away the following morning with a walk along the beach, the perfect way to start the year. If you need some inspiration for your fancy dress outfit why not visit this St Ives in December‘s description of the evening and take a look at some of their video of the festivities on the St Ives streets? Alternatively, if you’re feeling imaginative, the charity shops in St Ives are a great place to find the raw materials for your own weird and wonderful creations! The team at the Sail Lofts are here to help you plan your perfect evening, whether you’re in need of restaurant recommendations or dinner reservations we’re here to help. If you have any questions please don’t hesitate to contact us anytime before your stay. We hope you have a wonderful New Year’s Eve.